Let’s face the fact, with the rising cost of living, inflations, sluggish economy, weakened currency and many more factors. We can’t simply spend money anymore, right? However, temptations are everywhere and shopping is one of women’s weaknesses. So how can we manage our finance and spend wisely? Well with more knowledge and planning we can be financially responsible at the same time hit the retail trails without guilt. 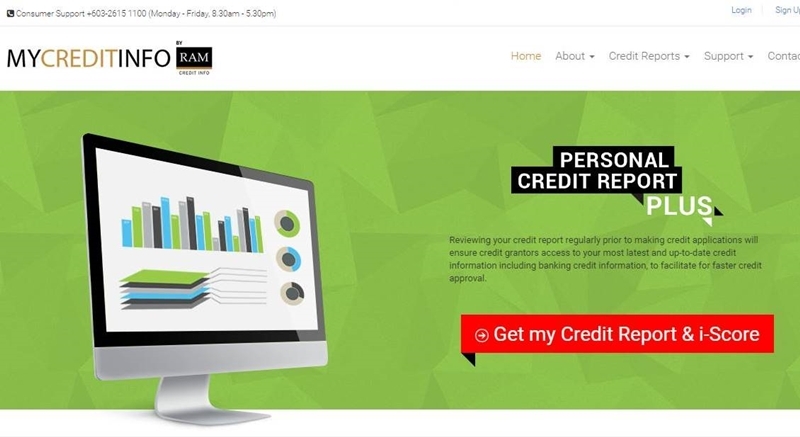 Today we are going to discuss about the importance of Household Credit Management, check your Credit Report and i-Score at RAM Credit Information (RAMCI). Majority of us use our credit cards to pay for our purchases and online transactions. Sometimes you lose track of the amount we spend until you received your credit card bill. Bomb time! you got a shocked, you overspend so much and can’t afford to pay or clear our credit card debt. It’s too late! To be honest I use my credit cards very often, but now I use it responsibly. Nowadays I don’t carry so much cash partly because of safety reasons. I use credit cards to pay for my household purchases and online transactions such as groceries, petrol, pay bills, online shopping, flight booking, travels bookings and many more. When I first got my credit card in my mid-twenties I was not good at managing my finance. I still remember there were times when I travel I splurged beyond my means. At the end of the month when the bills arrived I got a shocked and panicked. That time, I was not able to pay my bills so I have to opt for installment plan and was charged quite a fair bit of interest. I try my best to settle the bill as fast as I can because the longer I drag the more interest I have to pay. Therefore, I cut all my unnecessary expenses, work partime to earn extra money and banned myself from shopping till I finish paying all my debts. So I have learned my lessons and now I am more responsible with my credit card debt. Well, there are many ways we can keep track of our credit expenditures. First and foremost, I have clear mind of my family disposable income verses the how much we could afford to spend every month. Budgeting, prioritizing and planning are important for the whole family. We are responsible for our own financial health. I also checked my Credit Score and i-Score at RAMCI. When I received my report and my i-Score I was relieved because my score is quite high. The higher the score, the lower the risk you are to the lenders or credit grantors. It consists of information on where we live, how we pay your bills and whether we’ve been sued or have been filed for bankruptcy. With the credit report and i-SCORE I can have a better overview of my credit worthiness and manage my household expenses and debt wisely. Not only that a good credit score will also prepare me and my family for the next big purchase, investment decisions or opportunities. Usually our credit report will be used by banks, credit grantors, insurers, employers and other businesses permitted by law to evaluate your credit, employment and etc. for approval decisions. This credit score may be used by financial institutions to evaluate our credit worthiness for a mortgage or loan and even determine the interest rate. 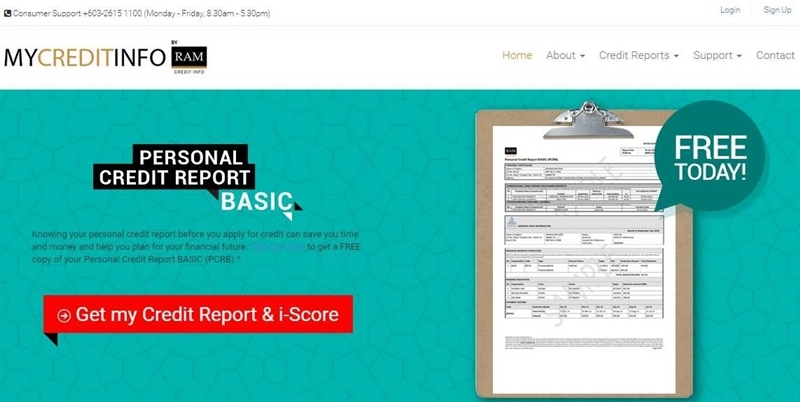 Have you check or view your Credit Report or i-Score before? Hmm… if you have not I urged you to check it. Start to take charge of your credit health by checking your Credit Report and i-Score at least once a year. This is to ensure your credit information is accurate and updated, avoid identity theft which happened quite often, ensure a healthy credit profile, increase your chances for loan approval and of course know your credit score. Good news! Here I have 10 Complimentary Personal Credit Report PLUS (PCRP) check. The first 10 person who comment below with your details such as Name, and Email will be able to check your personal Credit Report from RAMCI for FREE. RAM Credit Information or RAMCI is a trusted and professionally run credit reference agency with more than 29 years track record. The company is legally empowered and governed by The Credit Reporting Act 2010 (CRA Act 2010) to promote fairness, accuracy and privacy in the practice of credit reporting. A good credit report will generate faster loans approvals and ready for any investment opportunities. You can also use your good credit score and i-Score to renegotiate for a lower interest rate for loans and mortgage, reduce deposit requirements by Telcos or utilities and speed up your credit card application approvals. Overall, I feel that we have to know and check our Credit Report and i-Score so that we can have a better understanding of our debt level. This report and score is kind of like the check-up for our finance health status. With scam happened so often online, it is advisable to check our Credit Report once a year to avoid identity theft. So start by taking charge and maintain a good credit management by checking your Credit Report & i-Score at least once a year. We have to be financially responsible and keep track of our credit expenditure. A good credit management will give the confidence in your employment or business, a more peaceful life knowing that you are not blacklist by institution, faster loans approvals and ready for any investment opportunities. Ok noted, the organizer will email you the steps to check yours. Thanks babe for sharing this awesome info! I haven't got a clue of my credit standing so this really helps! What in depth information you have shared. This is what everyone needs to know of any use. I'll get my own report, soon. Hi Emily, Yes we need to know and understand our financial status and score. Hi Eunice, good to know that. Would love to check mine. Thanks Elana, the organizer will contact you via email. Hi Sharon, thanks for joining. The organizer will contact you via email. Hi Shiv, thanks for joining. The organizer will contact you via email. Hi Miera, its ok, be calm ya. Thanks.for sharing the details and it is indeed very important. Yah there is such services, its just that not many of us are aware of it. would like to check mine! You are in. Thanks for joining. We have to be careful when it comes to spending using credit cards. We have to pay fines and also the credit score gets affected if default happens. Its true, so use it wisely and only for what we need. RAMCI! so important to check our credit. Never have tried getting a report of my own. Never ever crossed my mind the importance of it. Great info thanks for sharing. Hi Miriam, yes. One should check their credit score yearly. I never have credit card, but i think i should get one for an emergency. Iday, its good to get one for emergency purposes or you don't want to carry so many cash out. Very informative about the Credit report. I will get one for myself. Thanks for sharing, i think this is very important for who got using credit card, specially much of credit card, sometimes really mess!